Unsure what to get for all your family members? This gift guide will help you get the best gifts for every member of your family without any fuss involved. 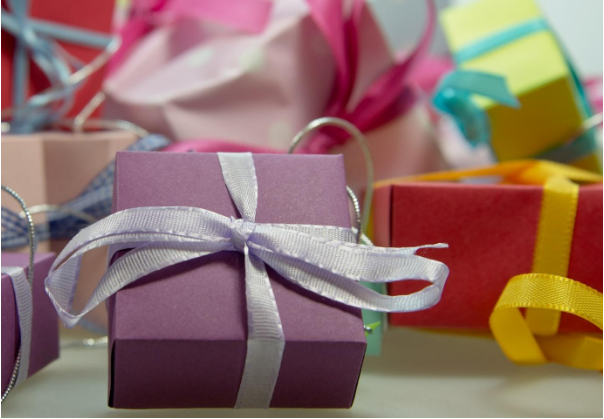 Read on if you want to learn how to become a master gift giver within no time. When you’re giving a gift to your parents, some household item is always a safe bet. A personalised cheese board makes a great gift and will be something that they’ll get a lot of use out of. You could also give them personalised mugs, glasses, etc. If you want to get your mom and dad a separate gift, mothers usually love to receive any type of bath and shower products. Getting her an expensive and fancy soap or a great smelling hand cream is the perfect gift. If you really want to spoil her, buy her a voucher for a full spa treatment. Dads usually want some type of tool or something similar to that. If you don’t want to be cliché and get that for your dad, fish around and ask your mother if there’s anything specific that she thinks he would like. She’ll usually know what he’s been eying and you can surprise him with exactly the gift that he wants. Since you’ve known your siblings for a lifetime, chances are you have some kind of idea of what they would like. If you’re not sure, you can stick with the safe bets like household items, scented candles, books and other useful things. If you really want to spoil them, you can splurge and get them a ticket to some event they want to go to or book them a night in their favourite hotel along with their partner. When you’re buying a separate gift for brothers or sisters in law, it can be a little harder to know what they want. Asking your siblings is usually a good way to find out, but otherwise a novelty gift can work. This works well if you don’t know each other that well yet since it helps to break the ice by making them laugh at a silly gift. Buying gifts for children is the easiest thing of all. You can walk into any toy store and ask the people who work there what children are interested in most right now and chances are you’ll work out with a gift that they love. The older the child gets, the more difficult this can be. Teenagers are especially hard to buy gifts for. They usually want some kind of electronic device or CD so if you can fish around and find out what bands they like or if they like to play video games, you can usually get some cool gifts based on that information. Just make sure you’re not buying them something that they already have, or at least keep the receipt in the case that you do. Previous Previous post: White Blazers – Yay or Nay?